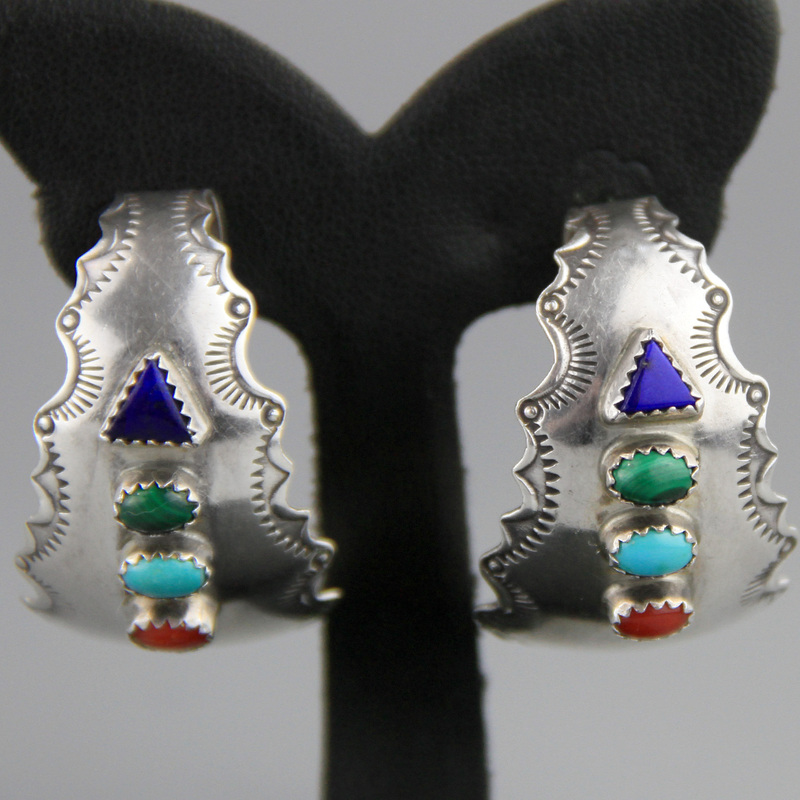 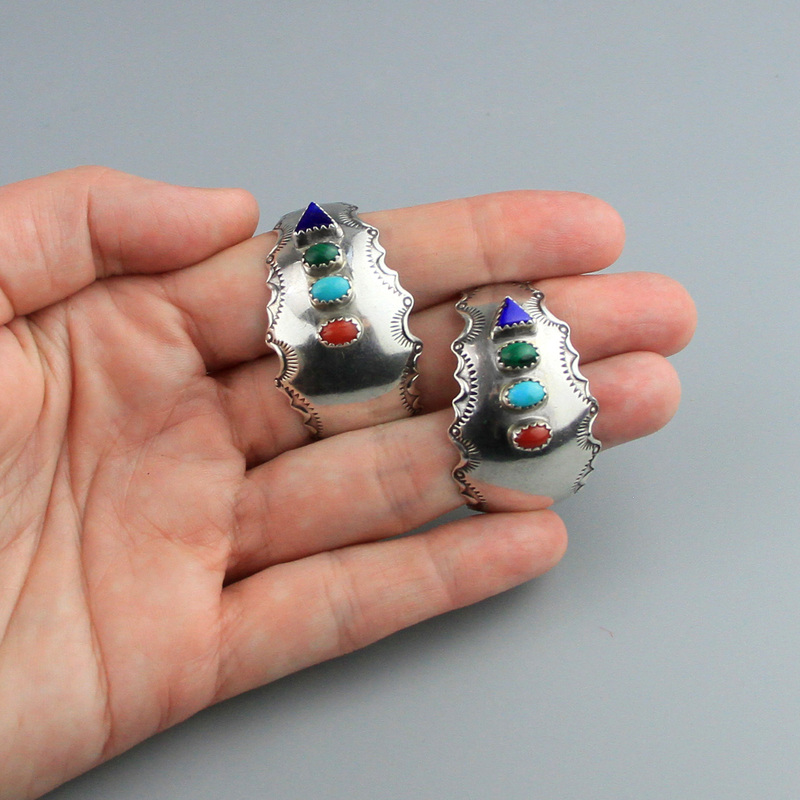 Amazing quality Native American, Navajo handmade sterling silver hoops. 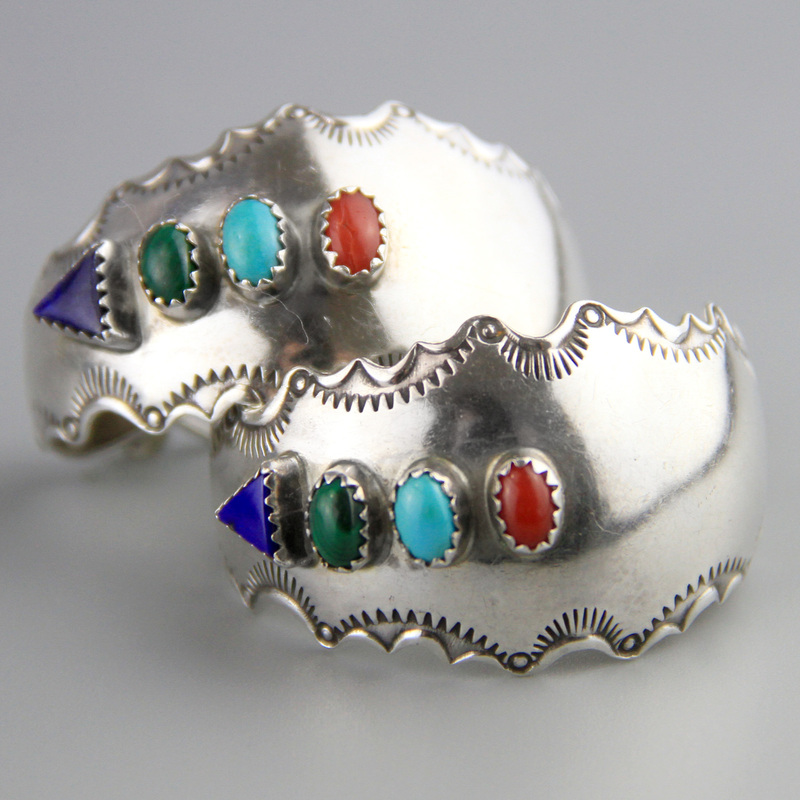 Large wide statement hoops but still light to wear, hand stamped edge design with sawtooth bezel inlay of lapis, malachite, turquoise and coral. 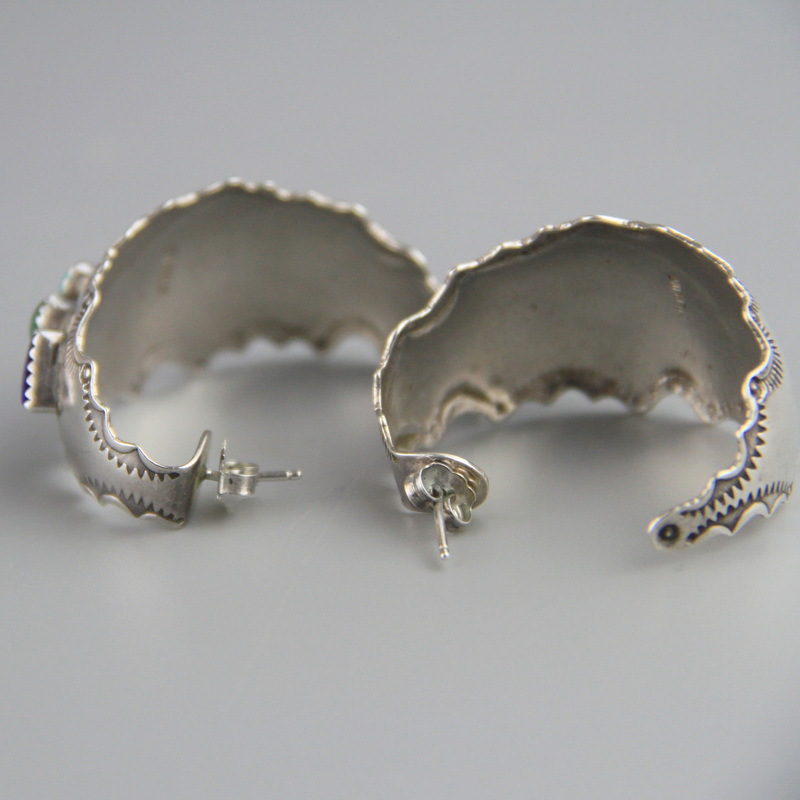 Stud back, very nice handiwork, amazing big vintage hoops.